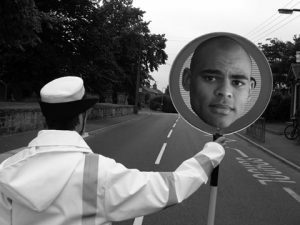 Despite a huge OUTCRY during a POINTLESS public consultation about his cuts, the Rev Rees is going ahead and CUTTING his school crossing patrol budget by £155k a year. What’s needed here is the kind of LEADERSHIP that is usually entirely lacking from Bristol City Council. So we look forward to the REV REES and his senior leadership team that earn all the big bucks showing us the way and putting in some SHIFTS at their local primary schools. Look out for them at 8.00am every morning at a school near you? This entry was posted in News and tagged 2017, Bristol City Council, Budget, Cuts, Lollipop people, Marvin Rees, School crossing patrol, Volunteer on March 2, 2017 by thebristolblogger. I am surprised that you did not leapt on the fact that councillors and Alderman get FREE parking permits, when everyone else has to pay, either through permits or pay and display. From the web cast, the greens tried to get this privilege removed as a amendment, and the labour councillors voted them down. At a time when essential services that help those most in need are cut, I don’t think the councillors should be lording it about that “we have to make very difficult decision” when they want even sacrifice anything themselves. They also voted to halve the refreshments budget for councillors and is now a very reasonable £20,000 a year. It’s good to see them doing their bit. And we still have about 80 useless councillors on allowances, expenses and pomposity who can do next to nothing as Bristol Mayor has executive decision-making powers. Time to cut the size of the hangers on in City Hall.